Excitement has been building around the news. This has led to massive gains for the native ETH Token and the Blockchain in general. For instance, according to Coinmarketcap data, Ethereum has been gaining tremendously and has been able to regain its second position from XRP. In the last 24 hours, ETH has surged in value by 5.27%. This is higher in comparison to its close competitors which are BTC, XRP, and BCH that have surged by 1.51%, 1.43, and 3.31% respectively. However, EOS narrowly beats ETH in gains at 5.3%. Currently, ETH/USD pair is set at $153.60, which is a substantial gain from a short-term low of $85.53 on December 7th at 12:49UTC. The overall Ethereum market capitalization is $16,000,000,000 at a Token supply of 104,168,000 ETH. On the other hand, XRP market cap is $15, 010,000,000 and it is highly unlikely that Ripple would retake its second spot anytime soon. Binance support for the Constantinople hard fork is a positive step in the realization of a successful hard fork. This will depart from the chaotic Bitcoin Cash hard fork that led to the widespread market plunge that almost brought the Cryptocurrency industry to its knees. Binance will allow ETH holders to have sufficient time for deposits to be processed fully as the Block height is being deployed on the ecosystem. Further, all Ethereum enthusiasts are assured that emerging technical issues will be solved systematically to facilitate smooth ETH-based transactions on the leading exchange platform. Unlike Bitcoin Cash’s lack of consensus between Roger Ver and Craig Wright, Ethereum community is occasioning the Constantinople hard fork with widespread approval. However, there are reports that some community members may upgrade Ethereum network to suit their proffered versions. 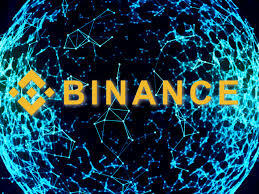 Despite the fact that the chances for parallel forks are slim, Binance is still considering the possibility as real and is inviting the factions that upgrade the platform or airdrops to liaise with Binance through the airdrop@binance.com contact helpdesk. This hard fork will enable the ecosystem to support faster transactions and attract more developers who are the driving force behind the creation of DApps and Ethereum-based Blockchain platforms from industry-specific use cases. Additionally, there are high chances that the fork will make the platform to be more secure, and reliable enough to meet the needs of the modern-day world. The upgrade is not only a piece of welcome news to the Ethereum community but also to the entire Cryptocurrency industry as it will take competition in Blockchain space to a new level.